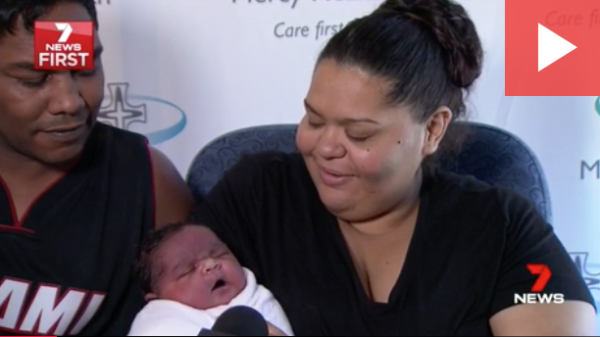 Natashia Corrigan is the super mum who birthed this bundle of joy at 9.44am on Tuesday. She and partner Brian Liddle named the morning tea time arrival Brian Jnr. The Preston mum-of-four told The Age that she’d been hoping for a tubby tot. 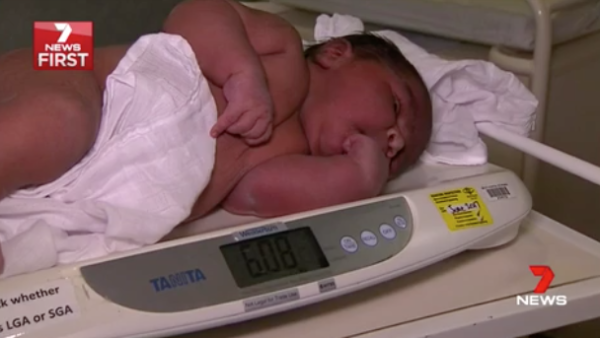 Told by doctors to expect a big baby, newborn Brian exceeded her wildest expectations. “I think I was in a bit of shock,” she recalls. Natashia’s previous labours had all been induced, so the experience of spontaneous labour was also a surprise. A little bit of gas, some expert hands and a lot of determination combined powers to birth this giant bub. Natashia told The Age things got a bit iffy when baby Brian’s shoulder became stuck in the birth canal and a hospital ‘Code Pink’ was established. 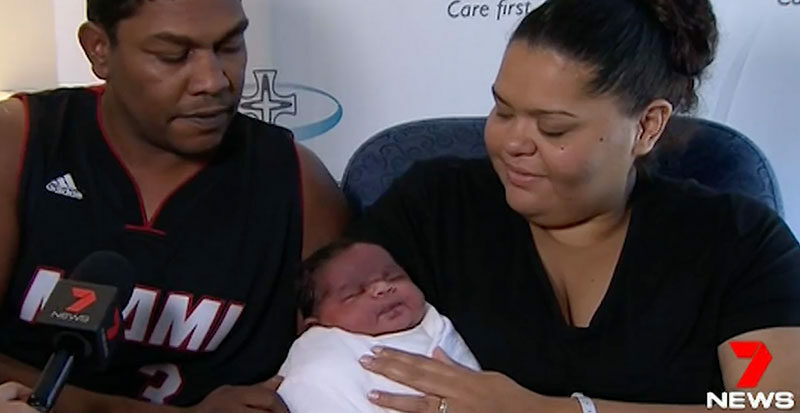 As her sister, Kurriki Ellis, and partner reassured her, doctors helped ease the baby out and he was delivered safe and sound. “It was a bit scary. Now everyone’s fine. 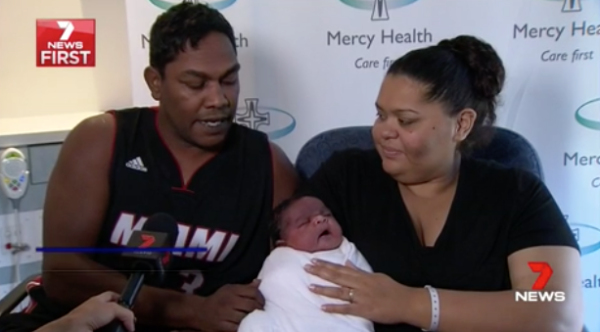 My partner’s fine, my baby’s fine,” dad Brian told Seven News. The latest Liddle (who is actually not very little) is double the size of your average Australian newborn. He went straight into size 0 baby clothing, laughs in the face of newborn sized nappies and is the size of your average five-month-old child. The surprised family were forced to nip down to the hospital gift shop to buy something Brian Jr would fit into, as they only had the standard 000 onesies on hand. Julie Kale of the Mercy Hospital for Women says Brian Jr is the biggest baby born at the facility and the biggest baby born naturally. A very big congratulations to Brian, Natashia and kids on the birth of beautiful Brian Jr.